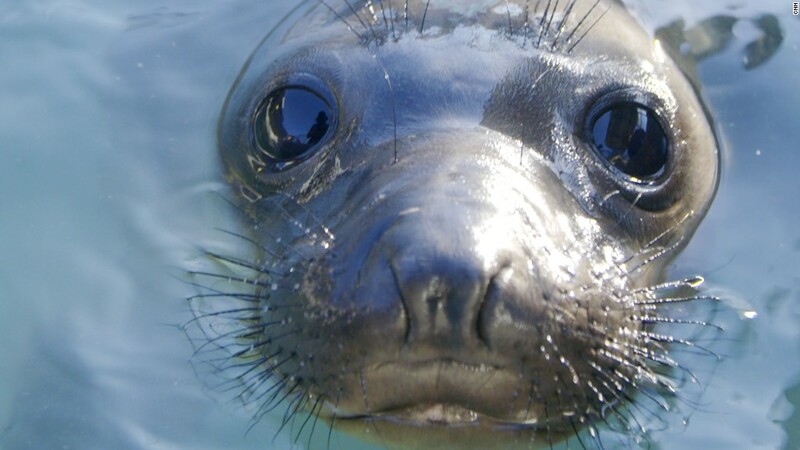 Facial recognition isn’t just for humans. Researchers from the University of Cambridge have created an artificial intelligence system that uses five different facial expressions to diagnose if a sheep is in pain. It can also estimate the severity of the pain. The research, which is being presented at a conference in Washington D.C. on Thursday, could improve sheep well-being — and help in the early diagnosis and treatment of painful conditions in other animals like horses and rats. The new system, which uses machine learning, can detect different parts of a sheep’s face and compares them with the standardized measurement tool developed by veterinarians for diagnosing pain. The researchers trained their model using about 500 photographs of sheep. It could estimate pain levels with about 80% accuracy in early tests. Five main things happen to a sheep’s face when it is in pain — its eyes narrow, cheeks tighten, ears fold forward, lips pull down and back, and the nostrils change into a V shape, according to the standard expression scale. The characteristics are then ranked on a scale of one to 10 to assess the severity of the pain. “You can see a clear analogy between these actions in the sheep’s faces and similar facial actions in humans when they are in pain — there is a similarity in terms of the muscles in their faces and in our faces,” said Dr. Marwa Mahmoud, a coauthor of the paper. The team’s research builds on earlier work that teaches computers to recognize emotions and expressions in people. 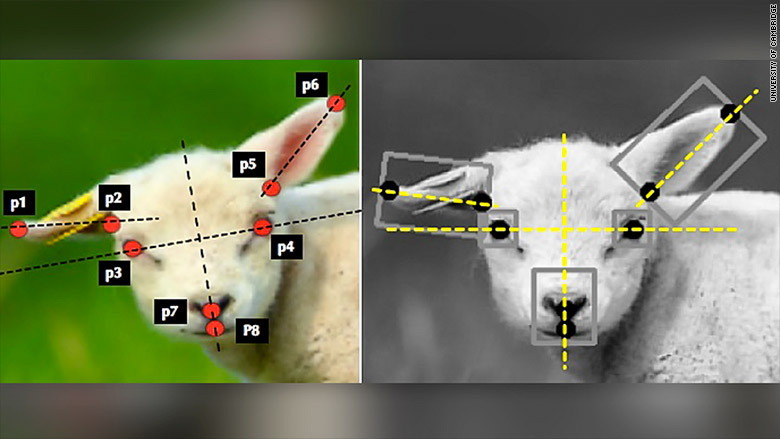 Next, the researchers will teach the system to detect sheep faces from moving images and when the animal isn’t looking directly at the camera. In the future, the team wants to position a camera at a place where sheep gather over the course of the day. The system would identify any sheep that are in pain, and the farmer could then get them proper veterinary care. “From a farmer’s point of view, a sheep that is in pain due to foot rot or other condition is also one that won’t put on weight, so it’s in both the farmer’s financial and moral interests to ensure that their sheep are cared for,” University of Cambridge spokeswoman Sarah Collins told CNNTech. Foot rot — a condition that causes the foot to rot away — is very common in sheep and highly contagious. Finding it early could help prevent it from spreading to the whole flock, according to the researchers.